Ah, the holidays. A decorated Christmas tree, plenty of cozy sweaters and one of the biggest feasting days on our calendar. It has a pastoral, family-oriented sensibility about it that can promote some of the fondest memories we can ever have. And it can also be a raging hell-hole, full of drunken family squabbles and little kids shooting their eyes out with B.B. guns. Oftentimes, the holidays is really just about making it through the day without Grandma losing her teeth in the mashed potatoes and your Uncle Jim holding a backyard wrestling tournament to see who gets the first slice of Christmas ham. Luckily for you, the rise of mobile technology means that sweet, sweet freedom is just a few taps away on your smartphone of choice. So don’t get caught without a great game to keep you occupied when things begin to completely fall apart — your sanity may not be able to hold it together if you’re without WiFi and the only thing staring at you in the face is a 100% maxed-out game of Angry Birds and the same old fare from Temple Run. Here’s a roundup of five mobile games that will make sure you have something to keep you from going stark raving mad. Each game is suited to a different personality and play style, so you’ll definitely find something that’s up your alley and worth the price. And let’s face it: it’s either this or dressing up as Santa for your nieces and nephews. It’s beautiful, it’s hypnotizing, and it’s punishingly difficult to the point of tears. Super Hexagon is definitely a game that requires a stiff upper lip and plenty of patience, but it’ll keep you terribly busy and will definitely make the little rewards worth more than an extra slice of pie. The gameplay is absurdly simple: You control a tiny triangle that is constantly being enveloped by rows of different shapes. Each shape has an opening, and you must tap the triangle there or be crushed. The game has three modes, “Hard,” “Harder,” and “Hardest,” and those descriptors are well earned. Super Hexagon is fast-paced, hypnotizing and possesses a steep learning curve. In short, it’s the kind of game that will make it look like you’re working furiously on your phone, but really you’re having a mind-blowingly awesome time. Straight from ZeptoLab, the game company that created Cut the Rope and its adorable round alien OmNom, comes Pudding Monsters — a game that also coincidentally has some adorable round creatures. This time, you’re in control of some goopy monsters made out of pudding who are desperate to escape their refrigerator. Of course, the only way they can truly be free is if they combine, growing large enough to overtake the wretched woman who put them there in the first place. These little creatures will slip and slide around objects, picking up eyes and mouths to form one single cohesive being. Although it’s not necessarily a traditional physics puzzle a la Angry Birds or Cut the Rope, Pudding Monsters has plenty of charm and will definitely require some smart thinking. Yes, we know you had to leave Halo 4 at your house. Yes, we also know there’s a drought of great first person shooters to satisfy your rapidly accelerating addiction for the genre. Well, if you’re an Android user, you’ll be able to get your fix on the go with N.O.V.A. 3 — an immersive sci-fi shooter that will hit all the right notes in your quest for space supremacy. The storyline for N.O.V.A. is not unlike the one for Halo: hero Kal Warden has been the leader keeping humankind afloat, fighting back aliens and generally being badass. The third installment of this series features a striking and immersive single-player campaign plus high-action online multiplayer that rocks just as hard as any computer or console. The game is on the pricy end, but when you shell out the cash you get high quality in return. N.O.V.A. not only features compelling gameplay but breathtaking graphics and sound. Think of it as a much-needed little holiday gift for yourself — you won’t regret it. Social game developer Chillingo is at it again with the social board game concept, and this time you’re speedily shifting letters around in Word Derby. And, like any and every social game, it’s always better playing with friends. This twist on the popular boardgame concept comes with plenty of moving parts, but it’s easy once you get started. You and up to three other people begin in a “word race,” attempting to develop a word from a randomized set of letters. Each person is forced to begin their word with the same letter, and there is a timer that acts as a multiplier. Each point moves the racer on a track, and the first racer to 200 points wins. Plus, you can “bet” on the games others play, increasing your chances of winning. The game can either be played online or in a “pass and play” mode, but it does require an Internet connection to load up. All in all, Word Derby is a great game to play with your best friend — and can be easily hidden under a table cloth to look like you’re paying attention to another one of your grandfather’s war stories. One word: Zombies. And lots of them. Whether you’re a fan of the series or not, Walking Dead: The Game has really struck out as an independent title with force in 2012. If you haven’t gotten your hands on the dramatic, choice-filled game yet, then now’s the best time. You play Lee Everett, a convicted criminal who is the only hope and provider for a young third grader named Clementine in the midst of a devastating zombie apocalypse. There’s some interesting action in the game, but most of it comes down to the interactions you have with other survivors — the decisions you make will drastically affect the game, and bleed into scenarios later down the road. Complex and harrowing, this game is definitely for those who like a good story and aren’t afraid of a little blood. This is a great choice for an extra-long holiday, as the full-length game (yes, full-length) sprawls over five chapters and has very high replay value. If you’re interested in trading one apocalyptic experience for another at your holiday family gathering, this is definitely the way to do it. 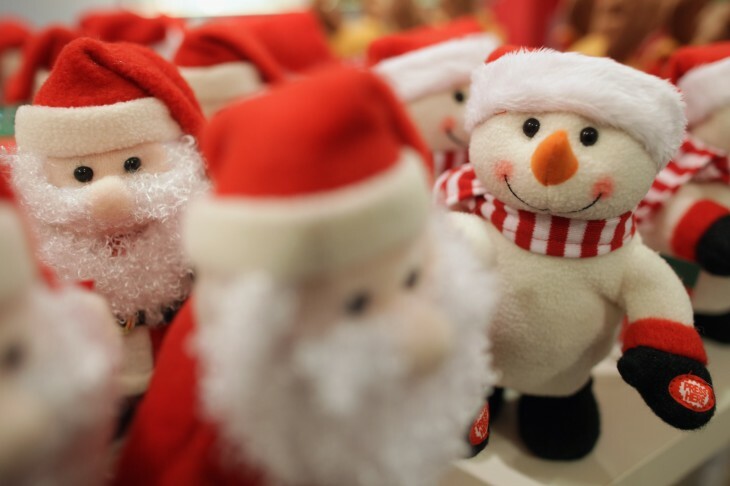 Read next: What's really on entrepreneurs' 2012 holiday wish list?